Skye Gravestones | David & Christina (Maclean) McHoull. David & Christina (Maclean) McHoull. 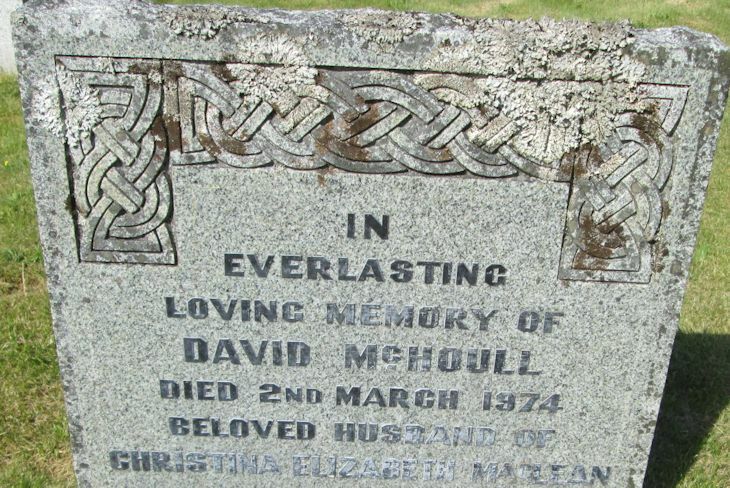 In/everlasting/loving memory of/DAVID McHOULL/died2nd March 1974/beloved husband of/CHRISTINA ELIZABETH MacLEAN/beloved husband of/CHRISTINA ELIZABETH MACLEAN/died 1st Feb. 2000/aged 84 years..